The Mall, Wood Green is opening up its Easter Garden on 14 April for a week packed full of family-friendly activities. The garden, which will be located outside Cineworld, will be open every day on the second week of the school holidays from 14-20 April, 11-4pm and will be full of Easter delights for both children and parents to enjoy. With different activities on every day of the week there’s no excuse for boredom this holiday as The Mall starts its countdown to Easter. 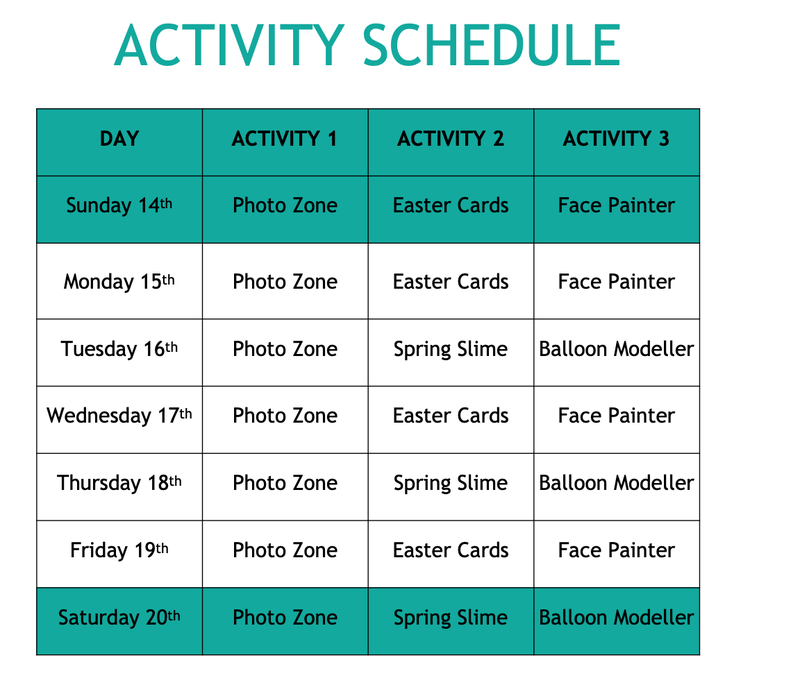 As well as getting stuck into making Spring Slime, there will be a whole host of children’s activities across the week including balloon modelling, Easter face painting and a make-your-own Easter card workshop to really get their creative juices flowing. There will also be an Easter-inspired photo zone where families can grab a prop, take a fun selfie and share it on social media. Treat yourself to lots of hassle free, family friendly days out and sign up to Kids Club at The Mall Wood Green. You’ll be the first to know about upcoming events at the centre, specially designed for little ones! If you haven't already signed up you can do so by clicking the link below. Register for the event now by filling the form below. Please enclose full name, gender and date of birth of attending children. We’d love to keep you up to date with all our content including information on offers, events, store openings, competitions and promotions at your local Mall. Just select an option here to let us know if you want to stay in touch via email or telephone.